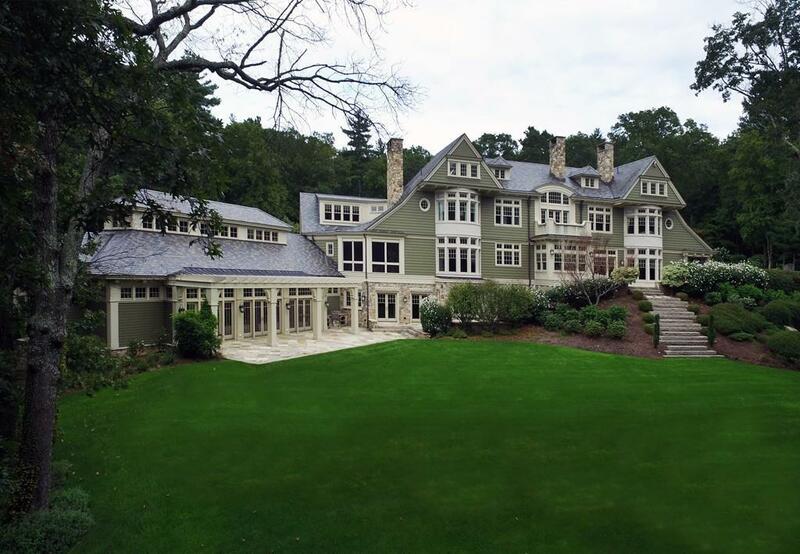 Breathtaking 23 room architecturally designed residence set on 5.28 private acres with distant winter views of Lake Whitehall. Approached by a circular drive, covered portico, lush plantings, stone walls, terraces and courtyard with 5 bay garage. A gracious foyer opens to elegant rooms, paneled library, home office, chef's kitchen, breakfast room, large pantry, fireplaced family room and screened porch. Exquisite paneling, exceptional custom millwork, crown molding, tray and coffered ceilings, cove lighting and high ceilings. Five en suite bedrooms include a 4 room master suite with dressing room and unbelievable custom walk in closet. Best of all... lower level is all about family fun! 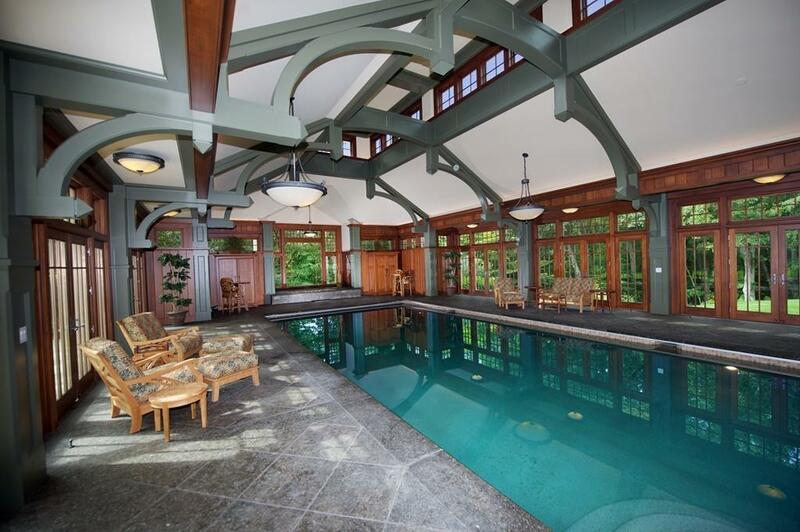 Expansive lower level with NATATORIUM (indoor pool) is SPECTACULAR with HIGH HIGH ceilings, hot tub, kitchenette, gym, PUB ROOM, and spa bath. From FORMAL to CASUAL, to EVENT entertaining, this home offers a wonderful balance for todays lifestyles. Listing courtesy of Judith Boland of Coldwell Banker Residential Brokerage - Concord. 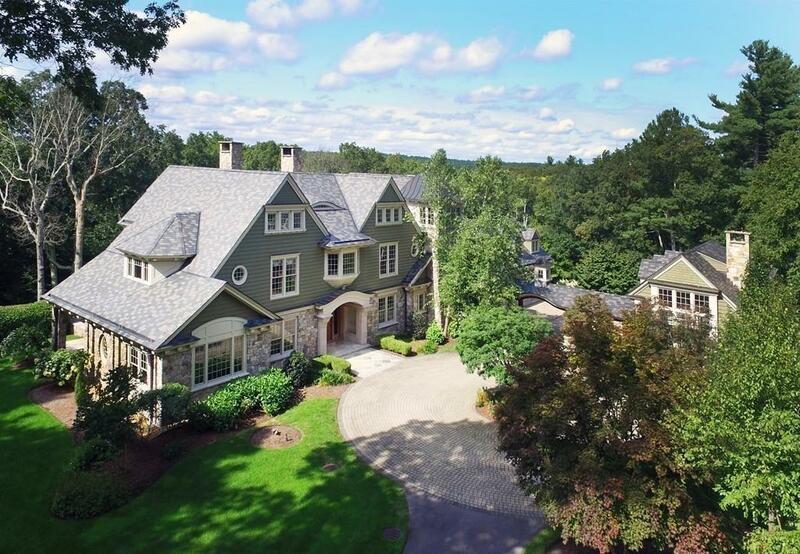 Listing provided courtesy of Judith Boland of Coldwell Banker Residential Brokerage - Concord.